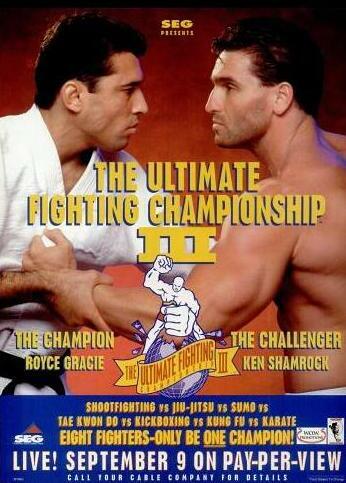 Ken Shamrock and Royce Gracie were the UFC's first break out stars. Though Gracie won four tournaments and retired on a draw with Shamrock, it was Shamrock who continued in super fights as the UFC Super Fight Champion. When he couldn't find training partners for his Pancrase bouts in the United States, Shamrock founded one of MMA's first true teams, the Lions' Den, and trained up a crop of world class fighters from scratch. Eventually going to the WWF because MMA could not support him financially, Shamrock was coaxed back by the UFC for UFC 40, which would turn into a watershed moment for the company, having scrambled back from the brink of a nationwide ban and sagging ratings. We recall Shamrock's contribution to MMA, from one small error costing him a match with Royce Gracie to going out on his shield and propelling Tito Ortiz to stardom. The UFC is without a doubt The House That Ken Shamrock Built.